When small businesses need working capital, one of the first solutions they consider is a small business loan. Loans can help businesses keep up with expenses, purchase essential inventory or equipment, hire more staff, and fund seasonal growth. If the business has excellent credit, a small business loan can be a viable financial tool. At the same time, there are disadvantages with traditional small business loans. Business loans are often difficult to obtain if you don’t have strong credit, since financial institutions rely on your ability to repay them. Any hardship that occurs during the loan period can put pressure on the borrower’s ability to repay, forcing the small business into default. Regarding collateral, most lenders choose to place a lien on all assets of the business, further restricting the company’s ability to acquire additional working capital when necessary. 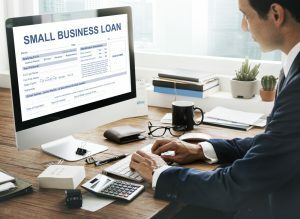 Because of lending rules and regulations, the small business loan application process can also be complicated and time-consuming. Small businesses with acute needs for cash flow may find a mismatch between their needs and the lender’s response. One alternative to a conventional small business loan is invoice factoring. One of the most common problems experienced by small businesses is lack of cash. One cause of this is the delay that often occurs between issuing invoices and receiving payment. Invoice factoring is a solution to this problem. Factoring companies purchase accounts receivable from businesses, providing immediate cash. Your customers then pay the invoices directly to the factoring company. Invoice factoring is a simple way to get cash for your invoices immediately rather than waiting for customers to pay. One of the leading and most experienced factoring companies is Riviera Finance. For almost 50 years, Riviera has helped small businesses enjoy better cash flow and stability. Riviera Finance has been providing businesses with financial services since 1969. With more than 25 locations throughout the United States and Canada, we provide a stable and reliable resource for businesses that want to improve cash flow. Here are some of the main benefits of obtaining invoice factoring from Riviera. Improve Cash Flow. With improved cash flow, you may be able to take on more customers and larger orders. Purchase equipment, increase marketing, meet payroll obligations. Reduce Business Expenses. Invoice factoring often makes it possible to get better terms from suppliers. Eliminate Bad Debt. Riviera guarantees credit on factored invoices. Put Your Company in a Better Position to Offer Your Customers Credit. Spend more time on essential tasks such as innovation, production and marketing rather than on collecting. Don’t Worry About Your Personal Credit. Unlike traditional small business loans, your eligibility for invoice factoring doesn’t depend heavily on personal credit. This makes it a viable financing alternative for many newer and smaller businesses. The particular way that invoice factoring helps your business really depends on your industry and your own particular needs. Riviera Finance has helped a wide variety of businesses improve their cash flow with invoice factoring as a replacement for a small business loan. You provide basic information about customers you want to submit for invoice factoring. This may be all or just some of your customers. Riviera establishes a credit limit for your customers. You provide the products or services that your customers ordered. Submit invoices, orders and backup to Riviera. Riviera verifies receipt and acceptance. Riviera transfers funds into your bank account within 24 hours. The agreed-upon fee is deducted. Invoices are forwarded and your customers pay Riviera directly. This is actually a simpler process than the typical scenario where you have to collect and keep track of customers paying invoices. With Riviera, you can monitor all of your transactions with Riviera Online Account Management (ROAM) 24/7. Invoice factoring with Riviera is a practical alternative to businesses seeking small business loans or other types of financing. It’s a simple and reliable way to improve cash flow and make your business more stable and successful. To find out more about how invoice factoring can help your business, contact Riviera Finance today.